Michael Ewart is an observer of the day to day. Much of the inspiration for Ewart''s paintings stems from his facination of recording people going about their everyday activities. 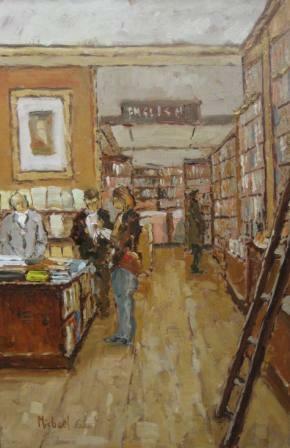 ''The Book Shop'' is one such example.